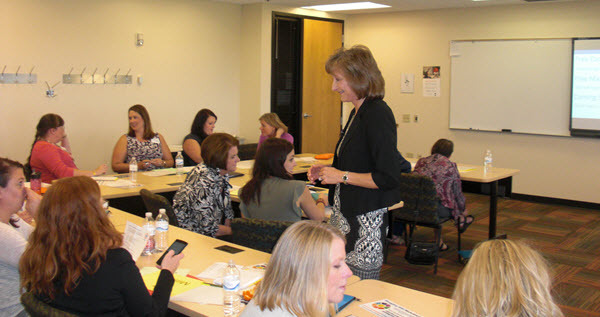 I recently conducted a workshop at the “Back to Business Symposium” in the Twin Cities, which was hosted by WIN (Women in Networking). Whenever WIN hosts these types of business events, they always put together a “goodie bag” for attendees. This time we received everything from a small notebook with pen, mascara, mints, and a post-conference set of tips that included a Thank You card to send to someone who impacted you at the conference. What I love about the idea of having a Networking Kit is that it keeps you prepared wherever you go. What I have learned to do is to keep this networking kit in the glove box of my car. After the event I bring the kit back to my office if I need to replenish my business cards, envelopes or anything else, and then put it back in the car. I also keep a supply in the office for any out of town events I may attend. I also like the idea of having an envelope to place the cards you receive from others at the event. Just be sure to fill out the sticker on the outside to remind you of the event you attended, so that when you follow up with people or look at their cards in a couple weeks, it can jog your memory of how you received that card. Plus, it makes it easier for entering these cards into your CRM system. Now I’d like to take credit for coming up with this idea myself, but I’m afraid I can’t. My friend Teresa Thomas, Director of WIN, talks about this in her book, How to Tap into the Power of Win/Win Connections. I highly recommend this book for some great ideas on networking that you’ve probably never thought of before. And if you’ve never heard of the “Networking Vortex” before, you might want to watch the demonstration that Teresa and I did in this video, The Networking Vortex – The Secret to Successful Networking. 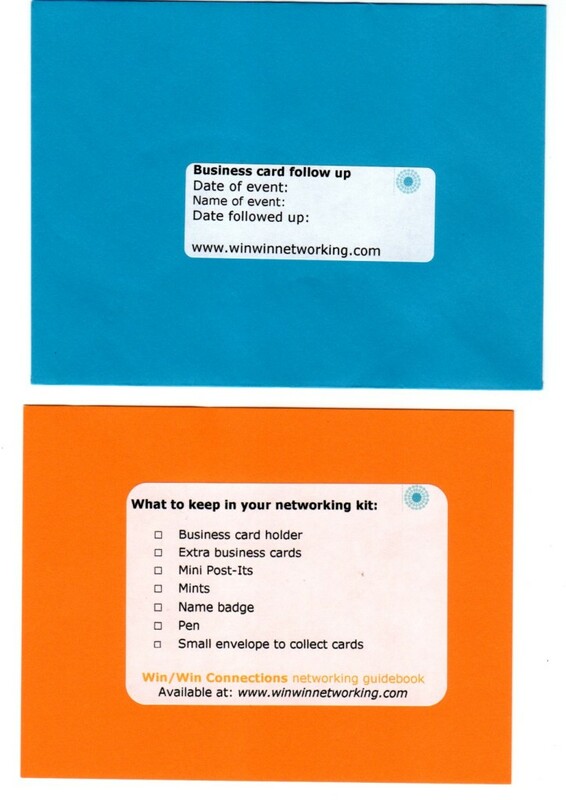 What’s in YOUR Networking Kit? Please share your networking tips below.